At The Flix is new to the Kodi community and resides in the Maverick Repository. This repo is home to Maverick TV along with other well-known addons such as The Magic Dragon, Joker Sports, SkyNet, Copy And Paste, and a working version of SportsDevil. As the name suggests, At The Flix is a movie streaming addon. You’re sure to find some new faves with a broad variety of categories to choose from such as action, comedy, horror, romance, sci-fi, British cinema and more. This great movie streaming addon offers films in different display methods. You choose which method you want to watch: choose your own source, direct links, 4K UHD, Openload.co movies, or even Real-Debrid streams. Giving you full control over the streaming video quality and file host utilized makes for a better streaming experience. Grab the free IPVanish VPN app now and see what it’s like to watch whatever you want without worry or hassle. IPVanish VPN are very well known to be the best VPN for Kodi users and even provide an app especially optimized for Firestick and Fire TV users. If you’ve installed a few Kodi addons, you may be good to go with only the source URL of the Maverick Repo. The repository is located at the http://mavericktv.net/mavrepo URL. Notwithstanding accessing free TV shows, streaming movies, and live sports only through an encrypted VPN, Kodi 17 Krypton and later also require you to enable unknown sources. This step is crucial because Kodi won’t allow you to install any third-party addons without doing this first. Installing At The Flix is pretty much like installing any other Kodi TV addon. Remember the steps involved and you’ll quickly become an advanced Kodi user. Researching for and then installing the best Kodi addons is really all it takes aside from remaining anonymous while streaming. At Kodi’s main menu click on the System Settings icon, this resembles a gear cog. To define the custom source click on <NONE> . Type this web address: http://mavericktv.net/mavrepo then click OK.
It’s okay to leave mavrepo in the text box below the address we just entered, but you may change it to At The Flix or anything you’d like. Click OK again. Check your input for errors, especially typos in the URL, and click OK again. Go back to the Kodi main menu and click the Add-ons item. Then, click the Add-on browser icon (AKA Package Manager) at the top left of the Add-ons menu. Next, pick Install from zip file. Select the source mavrepo from earlier. Click the repository.maverickrepo-X.X.zip file. 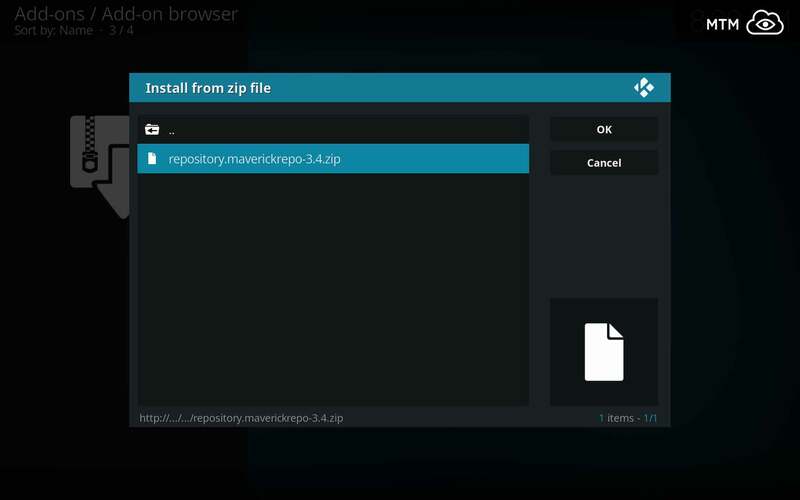 At this point, the zip file is named repository.maverickrepo-3.4.zip. You should see a pop up momentarily informing you the MaverickTV Repo Add-on installed successfully. From the Add-on browser, click on Install from repository. Next, enter the Video add-ons directory. Choose At The Flix and open it. Click on the Install button and wait for a moment until the At The Flix Add-on Installed dialog appears. That’s all there is to it. Now, you can connect with your IPVanish VPN app and watch nearly any movie you can think of privately and securely. Feel free to browse around the listings provided by At The Flix. After the successful installation of At The Flix, you can check out the main menu options shown below. Lights! Camera! Action! Where’s the Popcorn?! We feel that you’ll both love At The Flix and agree it’s one of the very best working Kodi addons available at this time. 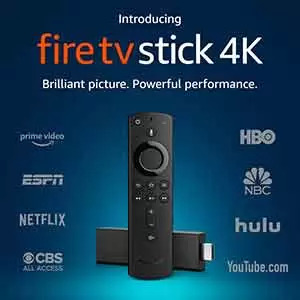 Put it on your Kodi installed Amazon Fire TV Stick and watch what you want when you want, just be safe and do so privately. This here’s a right nice movie streaming online beast mode interceptor, mate! Thanxalot!